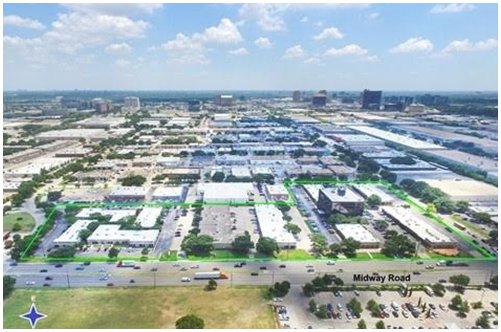 “Midway Business Park has a mix of office, retail and flex space,” says Ron Hebert, first vice president investments in Marcus & Millichap’s Dallas office. “The asset provides new ownership with income from a stable, growing tenancy and the opportunity for redevelopment in the long term." The business park is located at 13604-13740 Midway Rd. in Farmers Branch, less than one mile north of the LBJ Fwy, and approximately one mile west of the Dallas North Tollway. ​​​Want more data? S​​ee​​ DFW Overview Market Research.